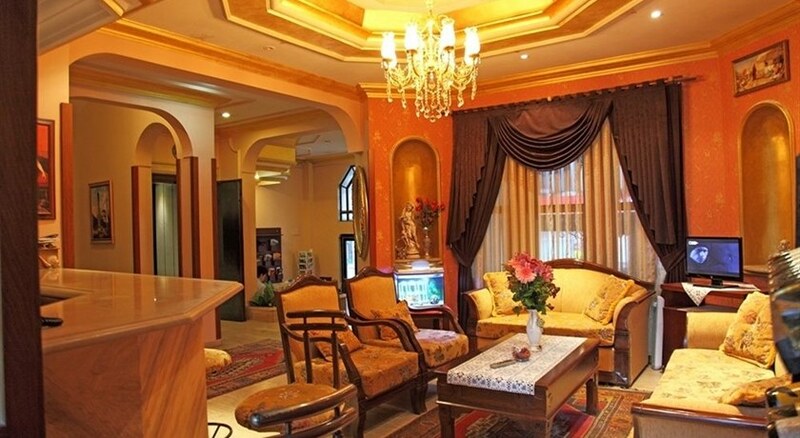 Legend Hotel offers three kinds of guestrooms, Single Rooms, Double Rooms and Triple Rooms. 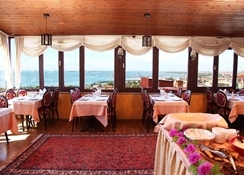 Rooms are incredibly beautiful, decorated with fancy items to exhibit the best of Turkish culture. Most of the rooms have double bed, unless single beds are desired. Amenities that are used in furnishing the rooms are TV with satellite, safe box, air conditioning, telephone, en suite bathroom, shower, hairdryer, large mirrors, mini work station, fridge, and table and chairs. Rooms have large windows and receive plenty of natural light. The Hotel serves wholesome breakfast buffet. 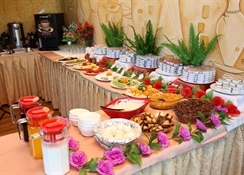 The spread includes selected Turkish delicacies and popular international items and healthy drinks, both cold and hot. And if you’re in a mood to try some Turkish beverages and liquors, head to the well-stocked bar that serves a wide range of alcoholic and non-alcoholic drinks. Its facilities include a family room, or rather a recreation room which has a TV and few board games and books to read. It also has a garden where tables and chairs are kept, but this is also a great spot for children to play. 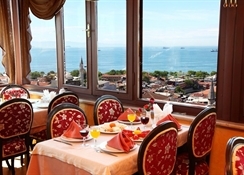 Legend Hotel is one of the popular hotels located in the historical centre or Old City of Sultanahmet, in Istanbul. The view from the hotel is simply incredible, especially from the terrace restaurant; you can see the sea on one side and the Blue Mosque on the other. The ambiance in the neighbourhood is quite different from the rest of Istanbul, but above all, the hotel is surrounded by shops, restaurants, cafes, bars and nightclubs in multitude. Few places to keep in mind are: Blue Mosque (3 minutes), Hippodrome (3 minutes), Underground Cistern (5 minutes), St. Sophia (5 minutes), Topkapi Palace (8 minutes), Archaeological Museum (8 minutes), Grand Bazaar (15 minutes), Spice Market (15 minutes), and Taksim and Eminönü (8 minutes by tram). A hotel that is centrally located close to all interesting places in Old Turkey — check out Legend Hotel. The hotel is celebrated because of the incredibly done rooms, the super friendly staff, the wholesome buffet breakfast and the lively bar; but one of its best features is that hotel comes within everybody’s budget. You can opt for either Rooms-Only or Half-Board, and if you’re a couple, a family, a large group of travellers, and even a solo or a business traveller, this hotel is ideal for you. *** The hotel does not serve lunch and dinner.